High quality woodgrain solid surfaces. 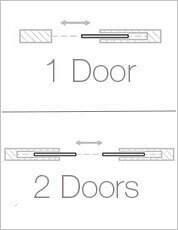 Our Woodgrain Pocket Doors are manufactured with you in mind! 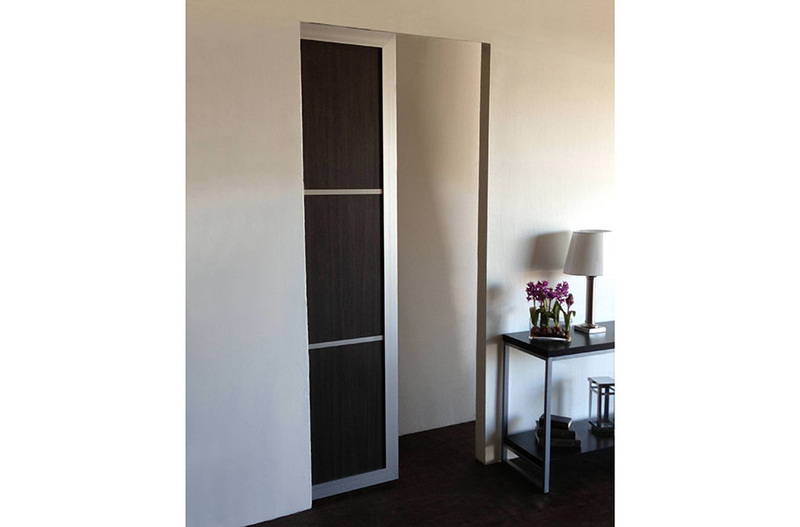 With ten standard Woodgrain Interlayers to choose from and our four standard frame finishes, we are sure to have a customizable pocket door just for you. 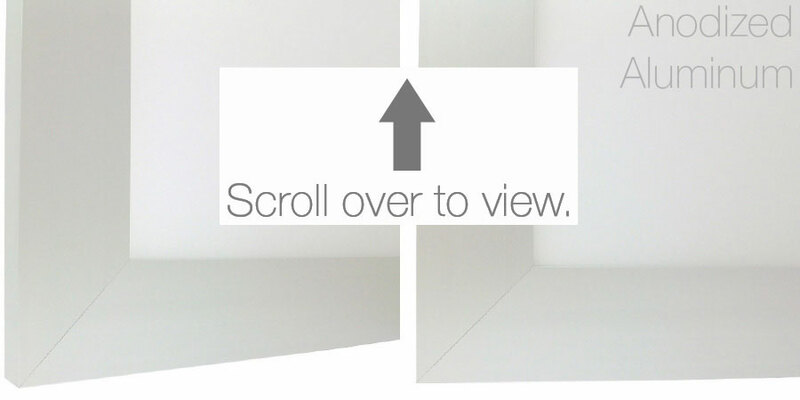 This simple, yet sleek design compliments any interior while providing superb functionality. Each pocket door is finished on both sides with no visible fasteners and utilizes a lightweight aluminum frame and recycled wood interlayer core - both making this product attractive for green projects! Woodgrain Interlayer options are listed below and we can easily integrate a variety of architectural-grade brands and finishes to match your project. 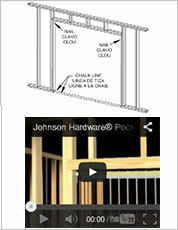 Our Pocket Doors can be mounted on almost any Pocket Door Framing System. 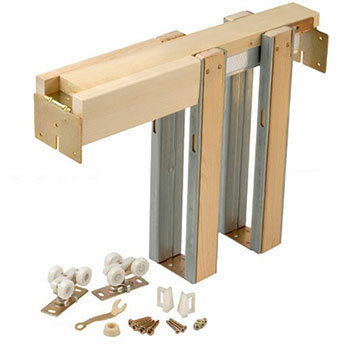 For ease of installation and availability, we recommend the 1500 Heavy Duty Pocket Door Frame kit by Johnson Hardware. These kits are made with the highest quality on the market and can be found at most The Home Depot or contractor supply stores. Select your Pocket Doors below. Choose from our standard selection of Woodgrains or specify your own (Contact Us) for your project. Premium solid surface woodgrain panels are super-durable with superior resistance to wear and impact. These laminated recycled wood core panels are also stain and fade resistant (sunlight) and easy to clean. 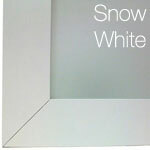 Aluminum extruded frame with high-quality, durable anodized or powder coat finish. No visible screws or fasterners. 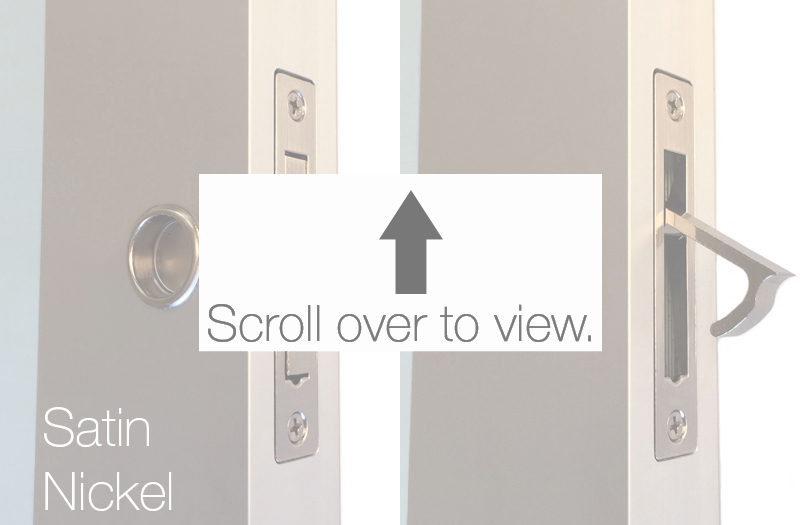 Heavy-duty door pull hardware featuring Flush Pulls or Locking Pulls. 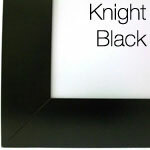 Available in Satin Nickel, Polished Brass, or Oil Rubbed Bronze finish. Door Pulls are installed and shipped with pocket doors. 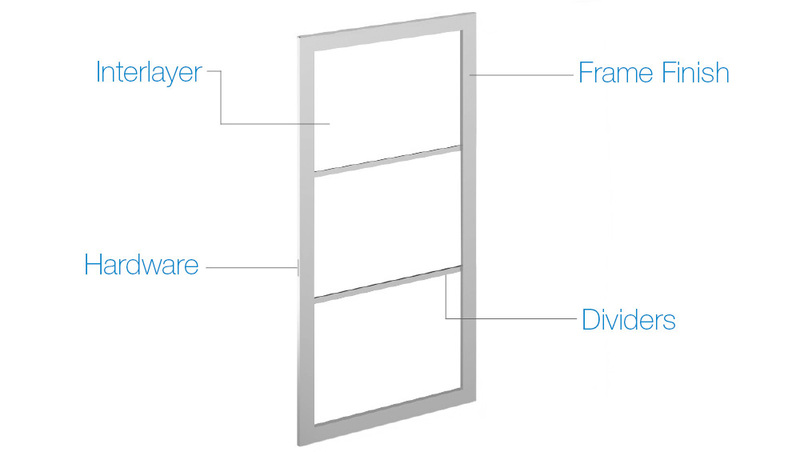 Pocket Doors may optionally be fitted with 1 to 5 horizontal dividers that are finished to match the door frame. Dividers are installed on each door at the factory and are not removable. 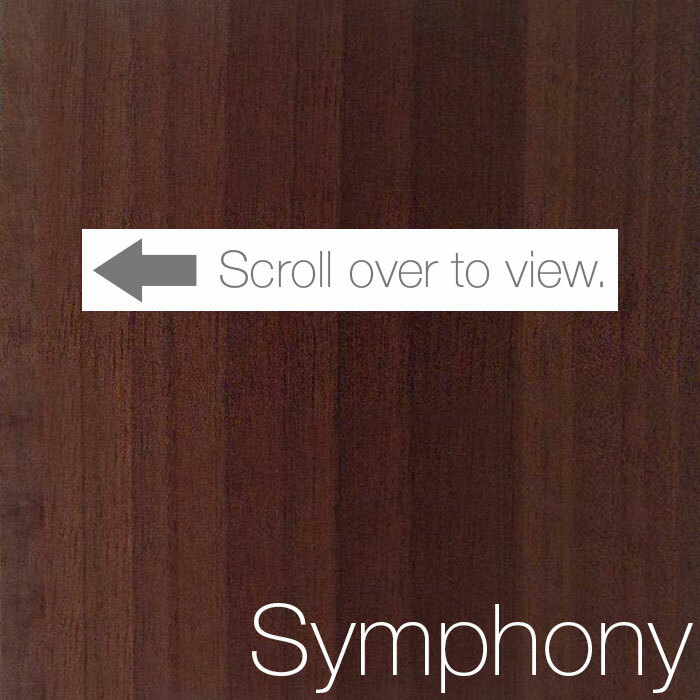 Copyright © 2014 Open | Close Doors, All rights reserved.